UNITED NATIONS, New York – When Zeinabou, from in the Zinder Region of Niger, was 15, her parents forced her to drop out of school and marry an older man. The brief marriage would be marked by repeated and escalating violence. Tragically, her case it is not an isolated one. 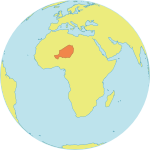 Niger has some of the world’s highest rates of child marriage. According to the country’s 2012 Demographic and Health Survey (DHS), 76 per cent of women 20-24 years old reported being married before age 18. In 2012, UNFPA launched Action for Adolescent Girls, a multi-country initiative that aims to combat child marriage through interventions reaching the poorest adolescent girls in the poorest regions of the world. On 22 July, UNFPA will be participating in the Girl Summit in London. The event brings together leaders and activists to develop strategies to end the practices of child marriage and female genital mutilation/cutting. For more information, visit: Girl Summit 2014. Operated jointly with partners, including Niger’s Ministry of Population, Promotion of Women and Child Protection, the programme aims to address both the causes and the consequences of child marriage. Child marriage has long-lasting and devastating consequences. It is both a reflection and driver of girls’ low status: 57 per cent of Nigerien girls aged 10-14 are not in school, according to the 2012 DHS, often because married girls are expected to stay at home. Adolescent pregnancy also increases health risks: Girls under 15 face twice the risk of obstetric fistula and maternal death, according to the 2013 State of the World Population Report. Yet over 95 per cent of married girls under age 19 have no say over whether to use contraceptives. Zeinabou refused to become a part of these grim statistics. She fought to leave her husband, even as the abuse intensified. She ran away repeatedly, seeking refuge from her parents. But rather than take her in, her father beat her and returned her to her husband. Finally, after a month of relentless violence, Zeinabou managed to escape, and her husband divorced her. She moved home and ended up participating in the pilot phase of Action for Adolescent Girls. 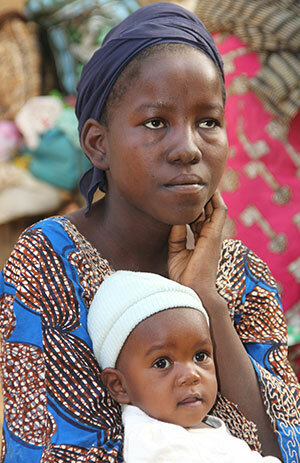 Over 1,550 girls in remote areas of Niger participated in the first eight-month cycle of the programme. The girls called it ‘Burkinatarey Bayrey’ in the Zarma language and ‘Ilimin Zaman Dunia’ in the Hausa language, both of which mean ‘Knowledge for Dignity’. Local women were recruited and trained to serve as mentors to the girls. Weekly mentoring sessions were held in ‘safe spaces’, where participants would feel comfortable sharing stories and challenges from their daily lives. Through the sessions, the girls learned about their rights, and they learned that child marriage is a violation of these rights. They also learned about hygiene and sexual and reproductive health. Participants additionally received lessons in literacy, numeracy and financial literacy. Such skills are essential for girls like 15-year-old Adama Hamadou Alzouma, who was forced to leave school at an early age. A year earlier, she became pregnant by a 46-year-old man. "To avoid prison, he agreed to marry me after I gave birth,” Adama said. “He abandoned me one month later... I [only] studied until the second grade." Adama and the other girls also received basic health services. Those who did not have birth registration or health cards were helped to obtain these critical documents. The initiative also held community dialogues about girls' rights, child marriage, maternal mortality and other key issues. Girls were encouraged to attend these dialogues and to voice their opinions. The pilot phase of the programme is already having a positive impact. There has been an increase in contraceptive use, from 19 to 34 per cent, among married participants. Only 2 per cent of unmarried girls were married by the end of the programme. Many participants say they have been empowered by what they have learned, and some, like Zeinabou, want to become agents of change in their communities. “Everything you taught me, I want to convey, especially for the poorest girls,” said Zeinabou, who wants to continue her studies and become a teacher. Action for Adolescent Girls will soon be scaled up in Niger, reaching 8,000 girls in seven of the country’s eight regions. The programme is also being piloted or scaled up in Ethiopia, Guatemala, India, Mozambique, Nigeria, Sierra Leone and Zambia. UNFPA is additionally working with government partners to advocate changing Niger’s legal marriageable age from 15 to 18 for girls and to support the African Union’s campaign to end child marriage.